With only one day left of the year, many people will look back and reflect on the year that was. I have been fortunate enough to try many new ciders and as the market continues to explode I look forward to an even bigger and better year for cider in 2013. 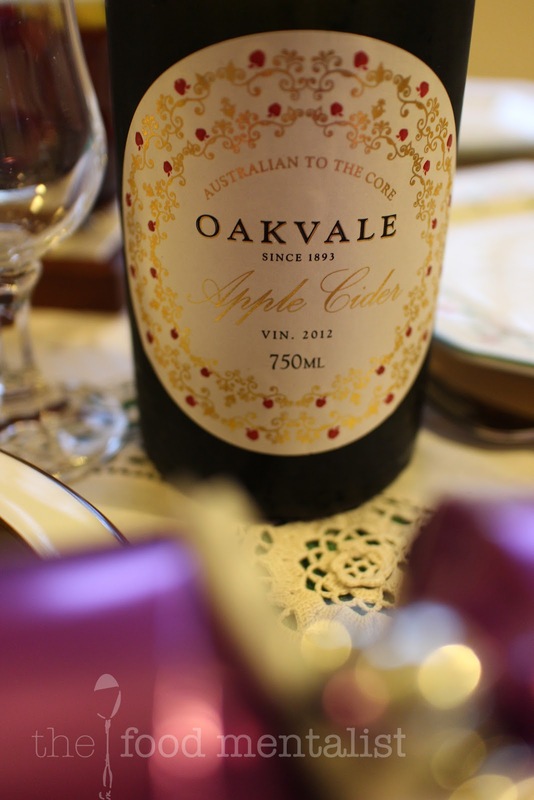 This week's cider is produced by Oakvale Wines in Pokolbin in the Hunter Valley, NSW. These guys have been making wine for over 120 years and have established an excellent reputation within the industry. When this beauty arrived on my doorstep I knew it was going to be good, so much so that I put it straight in the fridge to save for Christmas Day with my family. 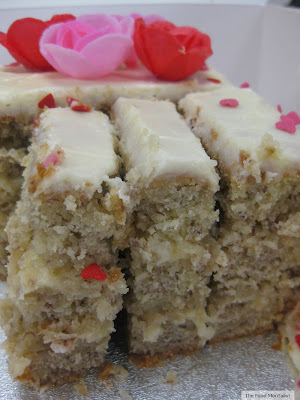 Although tempted to sample it sooner, I managed to save it for Christmas lunch. With a very fine and light carbonation you can tell that this cider has been made by winemakers - first off by the fact that it reminds me somewhat of champagne with just a hint of must coming through. It is definitely a well crafted cider. It has a nice balanced sweetness and good acidic structure. With a slightly dry finish, this one was the perfect choice for our lunch. We enjoyed this cider with a feast which consisted of: Pete's baked turkey with special stuffing made with wild rice, quinoa crumbs, sage, bacon and leek. As well as pulled pork sliders w/ crackling, Auntie K's delicious roast pumpkin and blue cheese salad, Uncle J's Greek salad and a selection of roast vegetables. Later, we enjoyed some traditional Christmas pudding and a little trifle. Everyone really enjoyed this cider and the only complaint we had was that we finished it too quickly. Tell me, which apple cider will you be enjoying this New Years Eve? Will you be out partying or having a quiet one? 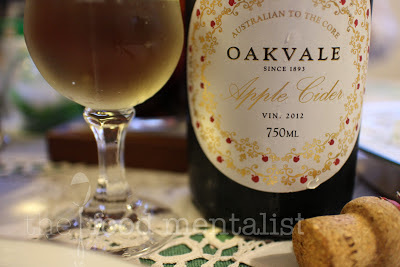 The Food Mentalist sampled Oakvale Apple Cider compliments of Oakvale Wines. Nice! I do like a really good cider! I think a trip to Finland about a decade ago and being exposed to their enormous cider market and variety has ruined me.So glad the Australian market is catching up with more variety now. Hope 2013 is a happy and tasty one for you Erin! It was a pleasure reading your post!! You have done a commendable! !